Sue and Karen’s first office was based in an attic above an Indian Restaurant in Stone Town Centre. Karen looked after the entire payroll, accounts, administration, and the Industrial Division. Sue went to see local businesses promoting their new agency, and also looked after their Driving Division. It did not take long before they were placing drivers and industrial staff – local businesses showed their support and repeat business was now coming in every day. 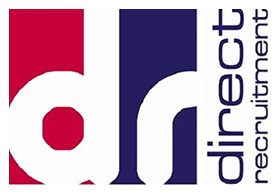 Direct had the opportunity to buy out a clerical agency based in Stone. This led to moving to a new office, and the Clerical Division was launched. A Clerical Consultant was appointed. Due to the rapid expansion of the Industrial Division they also appointed a new Industrial Consultant. Karen could now concentrate on running the back office which gave full support to the growing business. Direct had out grown the office space. Luckily they were able to knock through to another office suite, on the same floor, making a large operating office where they still remain today. The opportunity arose to buy out an engineering agency based in Newport Shropshire, and Direct launched their new Engineering Division, running it from their office in Stone. They appointed a new Engineering Manager who placed permanent engineers in Shropshire, Cheshire, Wales and Staffordshire. The business was receiving a high number of permanent placements to fill. It became necessary to recruit a dedicated Permanent Recruitment Consultant to look after this division. Continued client requests resulted in a new Executive Division was launched, providing Senior Management & Directors. The business has by this stage been established for an amazing 20 years, and still remains one of the oldest independent agencies within the Staffordshire region. Direct has developed an enviable client portfolio thanks to an outstanding track record of providing high quality people and service. The business continues to operate in a very open and honest way with clients and candidates and maintains a dedicated team of professional consultants that really care, and will always go that extra mile to help where they can. Whilst we are adaptable, Direct Recruitment (Midlands) Limited will continue to be a specialist provider to manufacturing and logistics industries. At the beginning of this year, we recruited two Senior Recruitment Consultants which has accelerated the growth of the business and seen it grow from strength to strength. We have also launched a new Healthcare Division which is receiving daily requests for additional staff on temporary to permanent contracts and permanent placements. The team has grown, which in turn continues to build a stronger foundation for years to come for the business. In June 2018, we got involved in a great cause that our accountants Mitten Clarke were spearheading. This was in aid of The Great Summer Clean Up Stoke. A number of our staff rolled their sleeves up and got involved in a good clean up for charity and a cleaner canal and walk way. It is a matter of pride to us that not only do our staff care about the people that they help into work, but equally they care about the environment.